The Primary program (Grades 1-5) emphasizes the basic subjects with a major part of the program directed towards the development of language, writing and arithmetic skills. The program recognizes the need for children to become more aware of the concepts of family, neighbourhood, country and world via a sequential program. 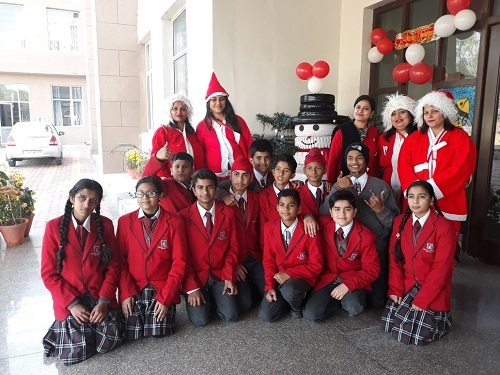 In the Primary program, science and social studies processes and concepts are highlighted as well as integrated with other subject areas in order to help students acquire a full appreciation of the world around them. 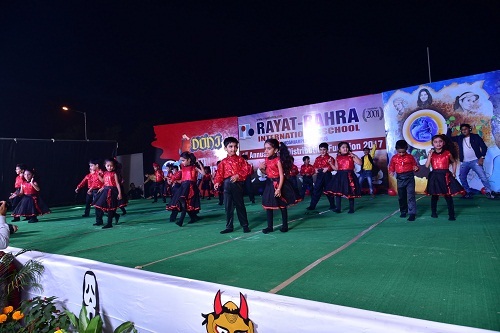 Children in grades 1 to 5 also receive special instruction in art, physical education, music, dance, cooking, computers, health, swimming, Hindi and Punjabi. The continuous progress concept enables each child to advance as quickly as she/he can or as slowly as she/he finds necessary, depending only on her/his ability. Various modes of instruction, such as small group instruction, independent study, large group, and one-to-one instruction are provided by teachers to best suit the individual student. The first and second grade program strengthens and builds upon what was highlighted within the first three years of our early childhood program and emphasizes a more structured approach to teaching the basic subjects. There is a major emphasis on the development of language, writing and arithmetic skills. Science, Social studies and Health are integrated and taught within the curriculum. MATHS LAB – The main objective is to increase the quantitative aptitude of children through Abacus, fraction kit and solid shapes. maths lab helps to dissolve their fear of numbers and make the children quick in their calculations. 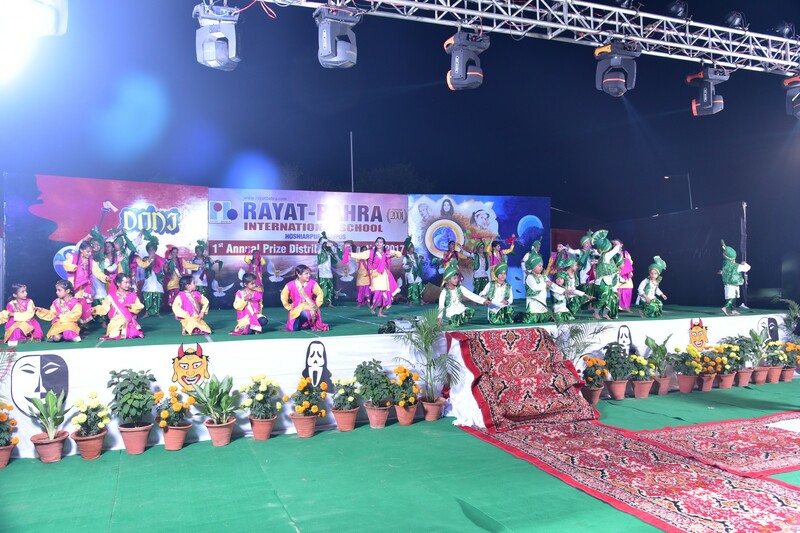 ART AND CRAFT DEPARTMENT– Children learn to make clay models, photo frames, wall hangings, flower arrangements and rangoli. They are trained to use the waste material from their house. A competent Art teacher trains children to draw and colour. Children learn and enjoy spray painting, wax crayon painting, thumb printing, pencil drawing and landscaping. 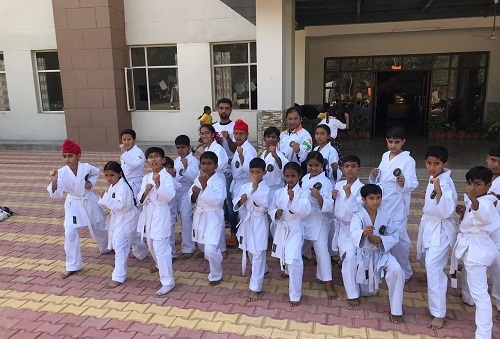 ACTIVITIES – Primary wing students are exposed to various activities like yoga, gymnastics, music, dance, reading, karate and physical training. 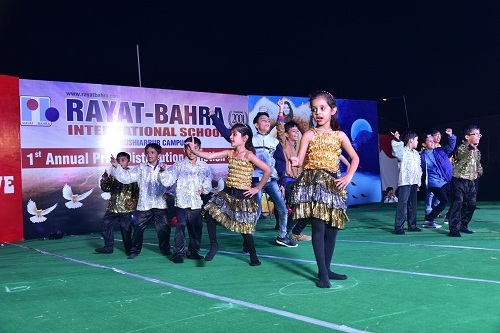 school has special coaches, who come and train children for various school, district state and national level competitions. 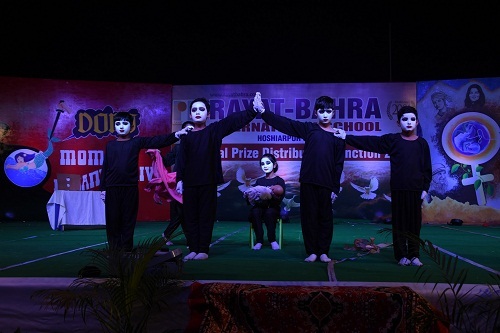 Inter section poetical, story telling, paper reading, calligraphy and quiz competitions are held in the school. 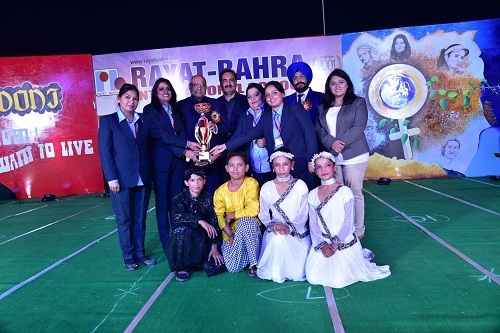 The School Children also participate in Various Inter – School Competitions and so far, have done exceedingly well. TRIPS AND TOURS – Educational trips are organized periodically as to provide an opportunity to the children to see and learn. 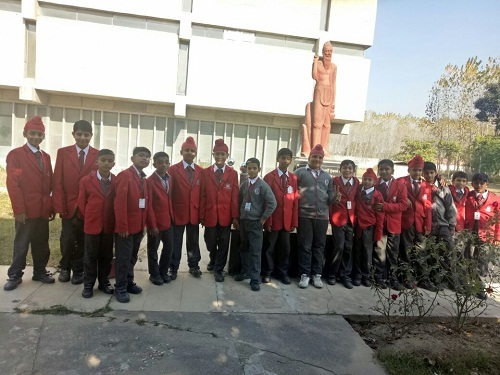 Children have visited places like TV centre, milkplant, printing press, sports factory etc. leadership roles is cultivated. Special parent teacher meetings are held throughout the year where parents, students and staff discuss issues relevant to this age group. The core academic program includes instruction in four major areas such as reading and language arts, mathematics, science, and social studies. The reading and language arts curriculum provides a variety of writing opportunities ranging from journals, narratives and short stories to formal research papers. Written and oral work sharpens the students’ vocabulary, spelling, listening and speaking skills. All major team games like Cricket, , Table tennis , Basketball, Kho-Kho and Volley ball are played in the school. Well trained coaches have been engaged by the school in order to provide specialized training to the students. Students interested in participating in games get coaching in the morning and in the evening before and after school hours. 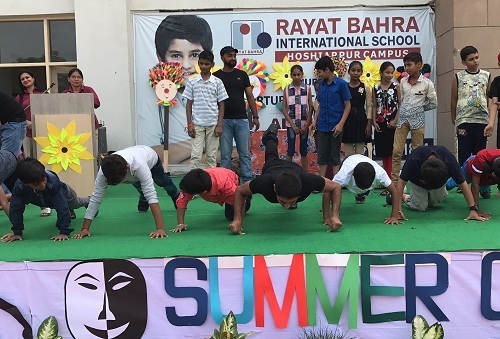 All the year round Inter – House matches, are conducted. Many of our players, Cricket, gymnasts, judokas have won recognition at the national level, too. 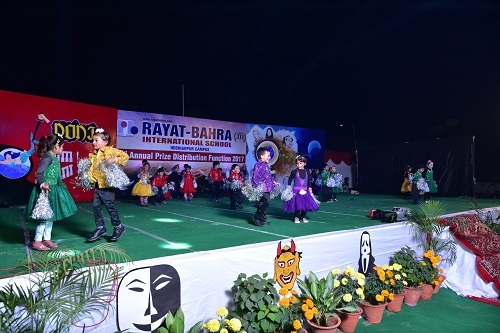 Rayat Bahra is built on the belief that the hope of civilization is to have citizens of, character. This can be achieved by developing healthy bodies. 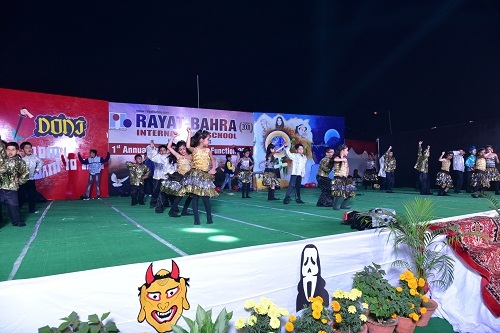 Rayat Bahra International School has provisions for all major sports and games like Athletics, Cricket, Tennis, Chess, Basket Ball, Table Tennis and Football. Professional coaches guide and train the young sports persons.